Salsify combines the power of product content management, a broad commerce ecosystem, and actionable insights — empowering brands to deliver compelling shopping experiences for consumers across every digital touchpoint. 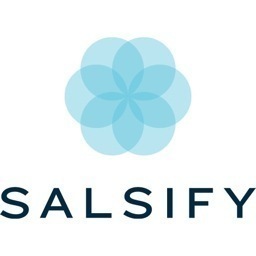 Work for Salsify Product Experience Management Platform? "Complete management of your product catalog"
It seems quite useful to be able to change the size and name of the images in real time, since this saves us a lot of editing time and we can manage the modifications of different products at the same time. The digital catalogs allow to share products indicated for them with different groups of clients. They are easy to use and modify. It is quite easy to export and import a large amount of information that you have in other platforms or files, which allows you not to waste time entering all the information again, but in a few clicks you can have all the information available within the platform. A broader and deeper tutorial would be something that could increase in future updates. Salsify is a really big software that allows you to control and manage products, statistics, clients and all this must be explained in a deeper way because you can take several days to fully understand its operation. Sometimes some elements of the user interface are not fully loaded and must be updated again. It is a rare mistake but it has happened to me once. If you have a wide catalog of products, clients and information, Salsify can help you manage it more easily than you would do manually. This time saving and increased profitability in the sales area is positive. The products we have within the Salsify platform are managed better thanks to the digital catalog and the ease to import any product and information that we need to put into the software. We control more efficiently the statistics we obtain from our products. We can review and update the products depending on the profitability that we are obtaining from them or from the group of clients to which we want to adapt said product. "Good tool, for all types of online stores." Salsify is an ideal complement to any online store, thanks to its versatility with all types of businesses, this tool allows the management of all types of digital files, so that purchases and sales are carried out in a simpler way for both parties, for online store managers it is ideal, thanks to its ease, to import all kinds of content and adjust them to the products that are desired to offer in the most appropriate way, detailing the information of each one in the best way, so that Customers, can see the best possible information of each article. this tool has too much information, sometimes, it is overwhelming so many tools, that being honest, I do not know what its use is, I always use the same tools and with that it goes well, a more detailed information is needed, on the use of all the components that Use this application, to know if you can give them a real use. I can create a range of digital catalogs, with all kinds of multimedia content, which helps me to have the projects that I want to create better organized, and with all kinds of necessary information, I can link the information of many producers with different retail stores, for Obtain a complete market information, and offer the best offers online, at our site. What Product Information Management (PIM) solution do you use? The user friendly interface and the huge scope of the software. The cross platform integration and the availability of APIs makes it a great software for every e-commerce based company to have. Maintaining a one-stop data warehouse, creating instant product catalogs and managing digital assets are a piece of cake, now. Thank you, Salsify ! Nothing in particular, as of now; however the bulk edits can be made a little more easier by enabling a horizontal approach also in addition to the vertical one. Managing the entire product feed of the company I currently work for. Previously, the feed was site specific and instant updates were time consuming. After Salsify, we hope to significantly reduce the time we take to update info or add new products. Also, the consumer insights and analytics will play an important role in improving our service and increasing our sales. "We find new uses for Salsify every week"
This software is extremely powerful, we find new ways to use it to support our digital marketing and eCommerce site management each week. Dynamic lists of products that power alerts and workflows have reduced the time it takes to manage many manual processes. The support staff is the best of breed. They are responsive knowledgeable engineers and will work through complicated requests. There is a slight learning curve when it comes to using logic statements in some of the export functions, but they have great documentation. crawl, walk, run. Start with the basics, get used to the tool, then start adding in more complex uses. You learn more each month which allows you to use it strategically for long-term. You want your implementation t be scaleable. Learn the system before you start to train other departments. Digital Asset Management, Data syndication. We have a better product data repository using parent child relationships, it has allowed us to clean up missing dimensions and attach marketing copy for better item level data. We have set up "alerts" to tackle a variety of scenarios that need manual attention. The sales team uses the interactive digital catalogs. We have realized the benefit of having product information readily available in various business uses and departments (No more Vlookups!). Salsify is very intuitive. I'm used to accessing the back-end of a database, not the User Interface, but this has been a very easy transition. But maybe my favorite thing about Salsify is the Support Team. They're very responsive, very helpful, and great on the follow-up. There are still some glitches to be worked out, and I'd like to have more control over things. I'd like the relations tab to do more than just be a click-through to related products. It would be nice to be able to bulk edit, or make lists. I'd also like control over the target display name in related products. Or just another way of linking more products together other than parents --> children. With its ease of use, friendly, responsive and knowledgeable support and the direction it is heading, Salsify is a great PXM for any company. At the moment, we're still establishing the foundation -getting our content in and getting it organized. Salsify has been extremely helpful with this. Once we have our content in, we're looking forward to working with Salsify to get sell-sheets/catalogs with our own specifications that our sales teams can use. We also love that we can update products directly to Walmart via Salsify. The best part about Salsify is the intuitive user friendly dash. We are not a technical company but find the configurations required by our business and channel streams are essential. We focus on minimizing our Go To Market time, high execution and implementation accuracy. I LIKE everything I know and hear about Salsify meets and exceeds our business needs and scalability for the future. For customization, and excel expert is required to create mapping associations for content set up/design and scalability. "Best possible experience ever! " The transformation of data to easily export it however each retailer needs it. Whether it's making high res images into low res or the ability to rename multiple images based on a rule. I also LOVE your team. This is salsify's biggest asset, they are responsive, creative, smart and a pleasure to work with. I wish the help section had videos or were more clear. I also wish we had more control over sell sheet design like a drag and drop design. There should be a merging ability when someone accidentally creates a duplicate item. There should be a report showing items that fit the criteria for being potential duplicates that need merging. I would be more than happy to help you guys create a simple process for this because I've worked on database that had this feature. Also a way to track in detail who logged in and when. Solving how to easily add new products to multiple retailers without having to hire more people. Salsify is a scalable solution to increasing the # of products and retailers we can work with. What I like best is the versatility of the platform, meaning it can accommodate our particular use of data properties and property groups. The platform can be a little daunting for new users in getting to know it, but for the most part, it's simply paying attention and deciding to work with it. We have yet to fully appreciate the built in channels feature that very well may be an excellent means to distribute our data to online retailers in a speedy way. In theory, we hope this will become a vital help to ROI in getting that info to the marketplace. Likewise, we're still evaluating how to utilize the digital assets features and how linking images and video in the cloud will be practical for our partners versus them getting actual digital files to distribute to their online platforms. We are solving our widespread data storage by centralizing our data access in one place, which even now is still a little chaotic and unorganized, but once we populate Salsify with good data, it will continue to speed up e-commerce set ups and channels for our product distribution. "The single most efficient tool we use"
How easily we can access all our content in one place. All our digital assets and content used to be fragmented across different folders, emails, computers, etc. Now all information is stored in one central location and is our point of truth. Retailers continue to update their product on-boarding requirements and workflows. As a result, it is challenging to keep our channel syndication working at all times. It is a constant process to re-map our internal properties to the channels attributes. We get our products to market faster and across all our channels. We also have consistency in all our listings. No channel has different information than another one anymore, and we always know where our most up to date version of the content is. "Very intuitive, flexible, and versatile platform. A+"
My team and I love the platform and all of its functionality. If we are unsure about anything, the Salsify team quickly comes to our rescue and assists in finding the answers or they come up with a solution to help us achieve what we are desiring. Would like a little more customization around the aesthetics/fonts as we will be displaying the platform on our future site. I like the spreadsheet import tool which allows me to tie assets to multiple products in just a few easy steps. I don't like that the system doesn't allow multiple copies of the same asset. That forces me to give general file names to anything being used for more than one product. I've found it very easy to use and would recommend it to anyone in need of an asset management tool. Very easy to learn and the interface is user friendly. We're using it to get product images uploaded to online retailers. Some of the training was very technical and hard to grasp for departments outside of our IT. This is a great system if you do not have a CMS system and also looking long term for integration solutions with websites. We are currently integrated with Walmart and Google shopping- this helps the updates of our content and new product setups move much more quickly then manually processing. Also avoids errors. "Salsify makes my life a little easier every day"
Salsify allows me to assign multiple tasks to individuals or groups with ease. As a writer, I like a program that can disappear into the backdrop of my work by being functional and well organized while allowing us to design tasks that meet our needs. We have experienced very few problems with Salsify and I would definitely recommend it to others. Moving from one task to the next is only easy if you are working from the clipboard of assigned tasks. If you want to move from one sku to the next in an unassigned group you have to return to the main menu page to select your next sku or type it in the search bar. Next button please! For the record, I emailed about this issue the other day and received a prompt response that they will do their best to add this feature. Salsify is worth checking out because in my opinion it would work well for all kinds of businesses that write product ads. Salsify helps to organize the fields of information that need to be filled out/selected/assigned by our staff. When all fields are complete, it removes the talks from an assigned list, saving staff time. "Fantastic System, in progress to become even better"
Salsify is a very user friendly platform. Someone who has no experience with the system can learn the basics within a day or two and get started on accomplishing basic tasks. As a user becomes more advanced the capabilities seem endless. With multiple publishing options with a wide variety of retailers and a point-and-click solution for most cumbersome tasks, Salsify has proved itself a valuable asset for efficiency and productivity. Salsify seems young. There are still a still a few quirky bugs that I and others have uncovered but were typically resolved very quickly by their design team. Some of the overall site functionality could be improved, such as how product property views are displayed. These small nuances aren't a huge issue, but can be annoying at times. Additionally, I think there is a lot of room for improvement in understanding error codes. Why they are presented, what they mean, and how to fix them, rather than going through customer support. For organizations that deal with a large number of retailers and have a large number of SKU's, whether variated or not, Salsify is the solution. It does take a considerable amount of time to set up, but once setup, publishing to individual retailers becomes as easy as A, B, C.
Adjusting for multiple retailers. Since different retailers have different requirements for product information, this is easily the best problem that has been solved. A big thing to note with this system is it centralizes all the data in a format that can easily be read by anyone. Special permissions can be granted based on who is viewing the data and what their role is in the organization. This allows every one from sales people to upper management to easily view product content without having to go through a chain of emails and questions. Salsify is very intuitive so it's easy to train and ramp up new users to the tool. I also love that you can directly publish content to Walmart through the tool. We're hoping more retailers jump on board with a direct connection as the time savings has been significant--cutting down a month or two of waiting for page content to go live. I wish it were easier to track the completion status and then send notifications out to users outside of the system as to when new content is approved and ready. Today you also store assets not associated with a product separately--I wish there was more fluidity as to how you could store data so you could have all key assets for a product launch in one area. Prior to using Salsify we were storing files on public drives and in inconsistent manners across our different brand teams. Using Salsify allowed us to create one area where all content is stored and easily submit it to retailers. The ability to store retailer setup sheets has made our setup process for sales teams more efficient and has cut down the setup time by at least 1 month. We have also improved our accuracy and consistency across retailers. "A key to growing our online presence"
The channel mapping at times is funky and not as straight forward to get the right values to populate. The direct syndication has been a huge challenge with 1WS. Using syndication to FTPs for digital assets unfortunately isn't as easy as we hoped. Call references. This was a huge technology jump for us and it helped prepare me for implementation and made our implementation process really smooth as it was my full focus for a month. The biggest benefit is the way we've been able to completely rehaul our product descriptions and bullet points since Launch in July. In 5 months we went from having a million spreadsheets and everything was manual to having more than 3 images for every product and this improved product content for 900 skus and it being live on Amazon. Flexibility. If you've ever used a PIM where you couldn't add a field yourself, Salsify is a dream. We also like the fact that even though we're not their largest client, they listen to our feature enhancement ideas and actually build them into the product. Having some workflow built-in is a really nice bonus as well. I would love to have Salsify move into the Channel Advisor/ Solid Commerce space with many more online marketplace integrations. Consider the fact that the founders of Salsify (& some other key employees) are former Endeca employees. Their company was acquired by Oracle in 2011. The caveat here is that I hope Oracle doesn't acquire Salsify as well. I'd hate to see my monthly fees skyrocket to support all that overhead. We had major issues pulling product information out of JD Edwards (major 3rd party integrator costs, etc) so instead of doing an integration every time we have a new place to send product info, we did ONE integration with Salsify. Since then, it's amazingly simple to add new retailers, power our brand website catalogs, etc. Salsify is easy to use and extremely easy to update. I had used multiple product management solutions in the past that can't even compare to the wonders of Salsify. Updating content is as simple as a few clicks of a mouse. Their importing function is not only useful, it saves me hours of manual labor or individually updating products. Their export feature allows me to publish my content into whatever template I want. Working with 20+ retailers, we used to manually enter data and text into each cell on long spreadsheets. Now - it really is as simple as clicking one button. Having worked with Salsify for over 2 years, I have seen their speed to action requests I make. In the past it was their interface that needed touching up - two months after I made my recommendation, the interface was updated and looks amazing. I had an issue with how the tasks were being organized, weeks later the problem was fixed. Right now - I recently asked for more category level housing of images. This is something that currently can be done, but it's a round about way to do so. Since talking with them, they already have their team working on a solution and have put it on their road map for the year. I helped launch this solution in two large CPG's. I know the challenges that persist with product catalogs and PIMs. This solution is worth it. Product setups at retailers. Product maintenance at retailers. Direct feeds of content into Google Manufacturing Center. Direct feeds of content into multiple retailers including Walmart, Jet, Target and others. Salsify has become a central repository for our company. Brand teams and marketing teams can easily access all information about their products in one spot. Sales teams use the customer facing catalogs to present new products to retailers - showing videos and multiple images of our new products. Overall Salsify has solved multiple problems for us and it can for you too. "Effective database management software that streamlines publishing to online retailer websites." Salsify has many beneficial features including a user friendly interface, detailed FAQ/training pages, and attentive customer support agents. Our customer support agent met with us as often as needed and answered any questions we had promptly and thoroughly. There is not a lot to dislike about using Salsify to manage information and digital assets. The learning process can be time consuming, but the customer agent will meet with you as often as you need to feel comfortable with the software. There is also some "coding" that is applied to channels and publishing; I would have like to get more training and information on this before our main agent sent us over to their account management team. Filtering could also use some work. There are times when I want to create a list of certain part numbers that are not related in any manner. You CAN achieve this by creating a list and adding them to the list one-by-one via the product listings, but this is time consuming and efficiency is what we are after. I would recommend trying the trial phase, attending seminars, and talking to a representative about what you would like the software to do to see if this product is right for you. We were looking for an effective way to manage our product information and digital assets. As we began to expand into more than a couple large retailer sites, we needed a way to effectively take this information and have a publishing sheet generated rather than doing this for each individual retailer. Thus far Salsify has helped with our efficiency issues a great deal. We are still in the learning phase and hope to use Salsify to its full potential by summer 2016. There is a lot to utilize! Thanks for your review! We often offer continued trainings for customers even after they are on-boarded to Salsify. We will reach out to coordinate some sessions to help you and your team. "Superior Product Content Management Tool "
The team at Salsify is second to none. The on-boarding process was smooth and the platform is quite intuitive. This allowed my team to quickly utilize all of Salsify's digital asset management features, and, in turn, deliver more value to our own business partners and customers. There is very little I do not like about Salsify. Perhaps, there could be a few more options in terms of how long an emailed download link remains active, but that is really reaching for something to improve. Spending time on the front end organizing assets and information is a great time saver during implementation. With Salsify we have been able to deliver product assets to distributor partners and customers around the globe. The platform is intuitive [easy to learn], and since implementation my team has seen a significant decline in the number of requests for product information and digital assets. "Good platform with extensive tools and support"
My favorite aspect of Salsify is the ability to quickly see what information is missing from a given product. The image tools are also very powerful. Salsify devs are constantly working on the features that are likely to be used by our company and they often anticipate needs. The tools available for indicating relationships between products are lacking. It would be really nice to define reciprocal relationships without having to set the attribute every time. There are some UI quirks, particularly when choosing the display order of attributes. These issues are known to the Salsify dev team, and I trust they will be fixed before long. Knowing what products are listed on which selling platforms is a huge benefit. Because our team is spread out over several locations, it helps reduce the redundancy of emailed spreadsheets. Although this is not our company's primary Digital Asset Management platform, it does serve as my team's main source for asset management. We anticipate additional benefits realized after adding workflow management. Salsify has significantly cut down on time spent for administrative tasks, such as naming individual images or filling out lengthy customer product set-up forms, allowing me to focus my efforts on sales strategy. There are quite a few updates given by the customers to their templates, and it seems like there's a lot of maintenance on our side to code the sheets correctly for salsify to input the correct information. Be prepared to have a team that can work with salsify in getting everything set-up - that seems to be the biggest hurdle in getting things started. Speed to market is the biggest problem that salsify has solved. In fashion bedding, we have a lot of sku turnover, so it's essential that we can keep up with the new products we're adding to site. We're also capturing more sales due to increasing the speed and efficiency of getting our products up on customer's sites. "Effective for PIM but you still must be buttoned up internally to be able to feed the information"
- The people are great to work with and open to ideas. - The ability to load thousands of records quickly is impressive. Be sure that you have a good solid process internally and value the data inside your ERP. Currently solving processes around all product data management. Where should it live and who owns what? We are also solving customer set up form speed. Currently serving as a bridge until we have a B2B site for customers. Useful as image extract for customers. "Excellent Functional Database and Data Management Tool"
It is a very simple to use - and intuitive tool that allows a company to create a central repository for all product information. When properly used, Salsify is invaluable. As with every database initiative, be sure to invest the hours required to get the tool up and running. Also as they say, measure twice and cut once, be ready to prepare and clean your data. Think a lot about what you want to do and how you want things organized. As a rapidly growing online company, Salsify has save us a huge amount of man hours in filling up datasheets for our various customers. It has created a data pool for our customer service staff. Finally it has centralized all of our formerly scattered information. I believe that the most valuable attribute of a product to an organization is organization. Organization is one of the most important keys to success and Salsify has made that easy. Additionally with the customer friendly interface it has opened up ideas for new methods of organization and data management. I am thoroughly impressed. Currently I can't say anything negative about the product. Any issues or concerns that I have face have been addressed immediately which has deterred me from finding any "negatives" with the product. Give it a try! Its worth it and you don't want to be joining late and behind your competitors. I wouldn't say that we are solving "problems". We have improved systems and broadened our control on the organization and implementation of data and images. We have progressed with the help of Salsify. "Good for small business, questionable for large"
Best feature is probably that it is a web-based. Their are a number of things that are frustrating with this platform but my biggest issue is the inability to make bulk edits within the system. To do them you have to export products to excel, make your changes offline, and then upload the new file. This process is tedious and ends up creating a ton of excel files as a result. If you are a small shop then it would probably be fine. But if you live in your PIM and have a greater than 1000 SKU's i would probably look elsewhere. The goal was to consolidate all of our product management into one locations. "Product Feed Syndication Made Easy with Salsify"
We can export our product information in a variety of formats to a diverse group of resellers. This tool allows us to do this in an efficient and easy manner.There are many features that this application uses to help us manage our data and images. Needing to manually enter formuals into the channel configuration. Would be great of this had a drag and drop feature. The transition into the new digital image manager was a little rough. Did not like how they assigned random names to our images. Making sure our dealers have the latest product data and images. We had to do this process manually before using information from 3 different systems. Now this is "The One Version of the Truth" for us. It help makes my job a lot easier because it stream lines my processes of putting together templates for how my customers want them. It is easy to use and maneuver around. I also like that I can look up our products quickly and the data is organized in a user friendly way. I do not like when there is an error in my formula, it could be very minuscule, but it does not tell me exactly where the error is. Sometimes I have very large formulas and I have to go back and review the entire thing or just start over to make sure I don't miss a parenthesis or quotation because Salsify only tells me the column the error is in. It's a great system and the team at Salsify is easy to work with and work with you on any issues or things you would like to see added to the system. We are stream lining the Data Delivery process, it use to be a manual V look up process but now, we can map to our customers templates exactly how they want the data portrayed. It allows us to have a quicker turn over for requests and set up more items and overall boost our sales. "We'd be lightyears behind without Salsify"
Salsify has been a huge asset in managing consistency of product content across various e-retailers. The customer service has been top notch! While there is definitely a learning curve, it has been made much easier thanks to the team at Salsify. Salsify's versatility when adding customer specific attributes has been extremely helpful. We are now using Salsify as our internal PIM system, and I would highly recommend this. Some of the mapping and "formulas" can be a bit overwhelming at first. It felt that it was more appropriate for someone with computer programming background, rather than for an entry level admin, which is the type of person we have in the role. More API feeds with retailers would be a huge plus! We have been able to be much more consistent and efficient with our product setups on various e-commerce sites. Manual paper work is no longer a big hurdle for us, as everything is a direct feed from Salsify. Can run a little slow sometime. Some of the filtering could be improved, but it's still pretty good. put a LOT of thought into how things are organized before setting up... it will pay off in a smoother roll out. Once place for all of our information, including marketing info for consistent info across all departments. "Great software for product database"
The ability to syndicate and analyze data holistically. Salsify offers the ability to easily store data from spreadsheets, and it can be manipulated (once is added to the database) in a very easy way. The software is also great for digital asset management. I like being able to reduce the amount of time spent managing different digital assets thanks to the software's one-image-to-many-SKUs capability. Not being able to sync my box folder with Salsify for images. I believe that building a webservice can solve that, and so this might not be a big deal. I dislike not being able to customize the digital product catalog. While having a digital catalog is a great, it would be ideal to be able to enhance the look and feel of the catalog by customizing the way the fields are presented. Depending on the companies' size, it would be a good idea to start with the basic membership because it will take the team some time to learn the tool, and fully switch to using it as their main software for product management and digital asset management. The tool serves as a one stop shop for enterprise-wide data shoppers. I'm able to reduce men hours for digital asset manipulation thanks to the sizing tool built into the software's digital asset export. Our website is fed with the product database built in Salsify, and so the software has become our main database source for product data and marketing information. Thanks very much for your review! I wanted to let you know that our Customer Engineering team has actually been piloting a new feature of the Salsify platform that lets you sync images that you have in Box directly into Salsify. Please reach out to your Customer Champion and we'd love to get you involved in the pilot. "Awesome! Our first time with a PIM/DAM... no more Google Drive etc, yay!" Very intuitive UI and the development team is always rolling out a number of improvements as they occur.... better than one big 2.0 or 3.0 etc upgrade. At a loss... ahh, the sell sheets... still very elementary at the minute. In our industry (CPG), sell sheets are usually a 1-2 pager with typical spec info that we have to workaround using Catalogs. Would be great if we could get more options/templates etc for Sell Sheets. Internally we call the launching of Salsify to our broader org, "Project One Truth." 'Nuff said, mic drop j/k... honestly... with awesome people like Kate Roda and Stephannie Vargas, you all are making magic happen! We like the workflow functionality the best, it's helpful to delegate work to remote teams and enforce requirements. Some conditional settings require new workflows, which can be a bit annoying and the focused view when working on the workflow doesn't include a lot of other content which could be helpful about the product. Any implementation of software requires a great base, fully test business requirements to minimize superfluous adds so it's lighter weight and maintain regular maintenance to optimize your instance. We are adding customer facing content with our product data from other sources. This allows multiple groups to add content through workflows with a simple interface and powerful searching. "Salsify turned out to be even more than we hoped for!" Having all the data related to our different sku's all housed in one place, with easy access. Really nothing that I have found would I consider a dislike. Biggest challenge is remembering how to do everything. This is a great asset to any company looking for a content management platform. All data pertaining to our sku's in one place....no need for all the external documents that held the different data before. "Salsify is easy to work with and overall a positive experience." I especially like having the ability to export metadata as spreadsheets, and being able to customize what metadata is included in them. I wish it were easier to upload a file to multiple item pages. I found a tutorial on the site about doing so using a spreadsheet, but it seemed like it would take just as long as it would to upload the files to each page one at a time since I would have to look each item up to get their ID numbers. This has been a great way to get digital assets to people within the company as well as to online retailers. It is very easy to search for items on Salisfy. It works just like a search engine would on an E-Commerce website. I also like that it has a download function where you can download all your entries into an Excel file. When we first got Salsify you were able to click on the image at the top and get a zoomed in image (presumably the one you uploaded). Now when you click on the image at the top you get a thumbnail. I also hate that you have to scroll all the way down for alternate images. It would be nice to have those available first or on a separate tab at the top. This helps us to keep track of all our data in one place. We are still in the process of creating our PIM, but this will potentially give us the ability to see search all of our hard data as well as our soft data. We would like to use it to upload content to accounts as well. I'm sorry to hear you're having trouble seeing full-size images when you click on a profile image on a product details page. That's definitely not what we expect! Please reach out to to support@salsify.com and we'd love to help you out here. We also wanted to make sure you know that you can always adjust the order in which your product properties -- including image properties -- appear on your product details pages inside Salsify. Some of our customers choose to place their images and other digital assets near the top of the product details page to help copywriters who rely on the images to create high-quality copy. Please reach out to us and we'll be glad to walk you through how to adjust where your images are on the screen. I love the overall idea. Being involved in a business in where we carry multiple items, I'm able to access over the web rather than keep a long spreadsheet. I like that the team is so willing to work with us and willing to (help) solve some convoluted issues that we may come across. I don't like that if changes are made it takes some time to reflect into Salsify. I'm unsure if that's Salsify or the program that it's gathering its information from. The benefits - We're able to populate within minutes. We have more time to focus on the business itself rather than doing a manual process. The amount of knowledge it takes to get the initial channel set up and ongoing maintenance. It would be nice if this was included as support for the tool. Friendly and helpful customer service. Powerful channel tools to allow you to transform your data to be in line with vendors requests for data. The user interface could be streamlined a little bit, and the hangs when loading, However I understand the limitation with the load considering it is calling your entire catalog at once for the search ETC. With salsify I only need to update data in one place, my vendors are then given the data in the format they request through salsify channels. Once you setup the channels all you really have to worry about is maintaining your data correctly. "Great database for product information and to gather this information quickly"
Before Salsify, to gather product information, we had to open 3 different databases. Now, we can go to one db and gt all the information in one place. In addition, completing customer´s request for info in spreadsheets has cut down the time from hours to just minutes. It´s a time saver. It also allows user to sort products based on characteristics, something we were not able to do before. Would like more filters based on the content of product descriptions. I wish we could generate the Excel files with different layouts, not just in columns. Some customers require 1 page per product and in rows. Would like to be able to fill forms in different layouts. "eCommerce Content Management as it should be ... Easier!" Salsify was the missing link in our eCommerce content management needs. It allows us to manage disparate sources of information and digital assets in a single location and properly syndicate that information out to outside retailers/partners with ease. Very little at the moment. Smart team that continues to innovate the platform. Managing our eCommerce content relationships with retailers has never been easier. We are creating a consistent, brand, legal, regulatory approved presence across the web with the help of Salsify. I love that Salsify has been able to condense three of our intranets into one clean, easy-to-navigate site that allows me to find information for our partners quickly. I have been working with our E-Commerce team to upload all of the marketing for products and the process has been seamless and so easy. We all love it so much, the E-Commerce team and I love to use words like salsimazing, salsobsessed, and salsawesome! There is honestly nothing I dislike about Salsify. It has really taken care of a lot of our intranet problems in one, crisp site. I am able to get requests to sales and buyers faster than ever. Salsify has become a one-stop shop for any and all product information I could dream of. The efficiency of this site is amazing. Very good for retail purposes, not the best for other organizational projects on websites. "My go-to tool for content management"
It would be nice to be able to upload multiple templates and then select which template to use when publishing content. If you need to fill our content spreadsheets, this works fabulous. It's very easy to create lists of new products and download content according to each list you've created. I am able to rely on accurate information while drastically decreasing the time it takes for product setups. Pretty user-friendly way to store all content in one place. My favorite feature is the direct (API) link to Walmart.com. I'll be really happy when Salsify expands this to other retailers. Setting up some downloads can be challenging for non-tech savvy users. We have an IT specialist as our master user, so it's not an issue. I would have difficulty with some of the uploading and downloading. Streamlining content management and distribution to e-tailers. We've saved a lot of time and frustration, especially with Walmart. Love the ability to create a product catalog and bookmark it on my mobile device for fast searching and sharing of content. Also we have received positive feedback on the search responsiveness that we love. I'd like the capabilities of taking a product catalog and creating a mobile product catalog app, downloadable on smartphones and tablets via a mobile app store. My use case has been more about enabling stakeholders with instant access to product information, images, and the ability to quickly search and share content. Being able to easily manage product data and send it out to our customers in the format that they desire. This is a huge problem within our organization, and Salsify is able to help us efficiently solve that problem. Some of the features we have to go through Salsify for, such as the Target Schema. While that is understandable, it adds a little bit of time onto a project. Another thing is the minimal amount of relationships with retailers that Salsify currently has. It is not a huge factor since Salsify is a newer company, but these relationships would be key to helping us build out our portfolio across retail channels. Salsify has been very easy to work with, and the tool is doing everything we were sold on. Everything has been very easy to use, with Salsify working on our projects in a very timely and efficient manner. I would definitely recommend Salsify to anyone who wants to solve the issue of spreadsheet generation, or of any customers needing a PIM solutuion. We are solving the issue of spending time manually creating customer sheets. Having our teams go into Salsify to automatically generate the sheets is a huge time saver for us and gives our sales teams their time back. "Absolutely Amazing and Business Life Changing"
With Salsify we now have all of the information in one place. We can now offer better visuals to our customers which increases our sales. Salsify is a company that is moving forward and I would recommend it to any company looking to grow their digital presence. Too many to name. Getting the product content to our customers faster is the main problem we have solved. The user portal is very straight forward, streamlined, and intuitive. I easily became very skilled at navigating and performing tasks associated to our database management. The Customer Success and Development teams at Salsify are also outstanding and have been instrumental in developing our new service based business segment. It is important to be aware of the other services that Salsify must integrate with and fully assess that it's capabilities will perform accordingly. The support we receive with Salsify is great, and they always work to find a solution, but we are using the service in a slightly different perspective than the traditional consumer company. This has caused us to encounter some interesting obstacles as we have worked through the development of our service. We are continually working to integrate our database with Salsify to our front end website. With a newly evolving service we are continuing to add updates to our website that requires new forms of integration between our to providers. The has required some changes to the way we ideally wanted the front end website to work. Learning about Salsify Product Experience Management Platform? * We monitor all Salsify Product Experience Management Platform reviews to prevent fraudulent reviews and keep review quality high. We do not post reviews by company employees or direct competitors. Validated reviews require the user to submit a screenshot of the product containing their user ID, in order to verify a user is an actual user of the product. Hi there! Are you looking to implement a solution like Salsify?